HUNTSVILLE, TX; July 1, 2014—Cyberbullying creates fear among students about being victimized at school, a recent study by Sam Houston State University found. While traditional bullying still creates the most fear among students, cyberbullying is a significant factor for fear of victimization at school among students who have experienced bullying or disorder at school, such as the presence of gangs. 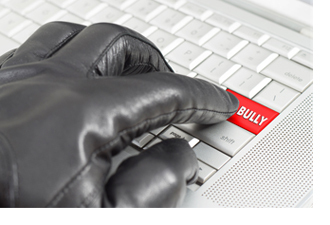 The fear from cyberbullying is most prominent in minority populations. "It cannot be overstated—online victimization has offline consequences, and those consequences may have a number of negative effects for students, including fear of victimization," said Ryan Randa, Assistant Professor at Sam Houston State University, College of Criminal Justice. Cybercrime is any behavior performed through digital or electronic media by individuals or groups that repeatedly communicate hostile or aggressive messages intended to inflict harm or discomfort on others. Studies have shown that bullying and cyberbullying may lead to such consequences for victims as decreased academic performance, diminished perceptions of safety, depression, anxiety, reduced self-esteem, self-harm, emotional distress and suicidal ideation. The study was based on a survey of more than 3,500 students from ages 12-18 from across the nation. The students were asked questions about bullying and cyberbullying, including whether hurtful information about them were posted on the internet or if they had been insulted or threated by email, instant messaging, text messaging or online gaming programs. The students were also asked if they had been excluded from online friends or buddy lists. "The influence of the cyber-social environment on fear of victimization: Cyberbullying and school," Ryan Randa. Security Journal 26: 331-348; advance online publication, June 24, 2013; doi:10.1057/sj.2013.22. January 13, 2014—In this video interview, University of Warwick researcher Dr. Dieter Wolke presents research into peer and sibling bullying and responds to, "What can schools and parents do to prevent bullying?" February 28, 2014—Children who suffer from frequent nightmares or bouts of night terrors may be at an increased risk of psychotic experiences in adolescence, according to new research from the University of Warwick. December 17, 2013—New research has shown that being exposed to bullying during childhood will lead to an increased risk of psychotic experiences in adulthood, regardless of whether they are victims or perpetrators. Press materials provided by Sam Houston State University.